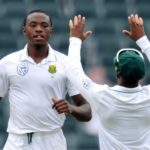 Kagiso Rabada, who is contesting an ICC ban for making ‘inappropriate contact’ with Australia captain Steve Smith, admits it was his fault. 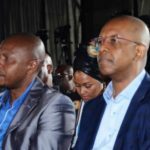 Dali Mpofu, a high-profile advocate more known for fighting political battles, will represent Kagiso Rabada in his appeal against a two-Test ban. 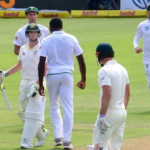 Vernon Philander has denied posting a tweet in which he accuses Australia captain Steve Smith of causing the incident which got Kagiso Rabada banned. 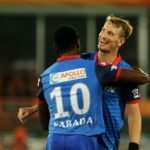 Match referee Jeff Crowe is expected to deliver his verdict on Monday after hearing Kagiso Rabada plead innocent to ‘shoulder charging’ Steve Smith. 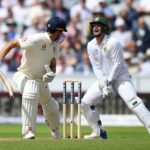 AB de Villiers rescued a series that was in danger of being spoiled by animosity and crass behaviour with a match-winning hundred at St George’s Park. 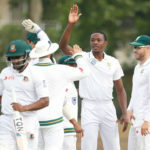 Kagiso Rabada waved goodbye to 15% of his match fee for his gesture after dismissing Shikhar Dhawan in the fifth ODI in Port Elizabeth. 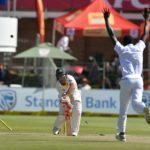 Quinton de Kock has been named in both the ICC Test team and the One-Day outfit for 2017. 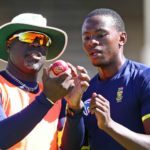 World No 1 Test bowler Kagiso Rabada is working on improving his action to make himself an opening bowler. 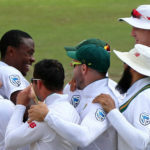 Kagiso Rabada, aged just 22 and having played just 24 Tests, has risen to No 1 in the ICC Test rankings following the first Test against India at Newlands. 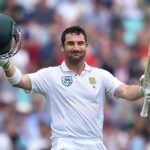 Dean Elgar, after an excellent 2017, would open the batting with David Warner in an official Cricket Australia Test dream team. 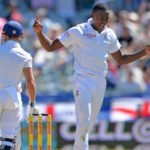 Kagiso Rabada has risen one place, to No 2 on the Test bowlers rankings. 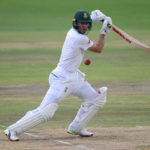 The Proteas need six more Bangladesh wickets to win the Test in Bloemfontein and claim a 2-0 series victory. JON CARDINELLI reports. 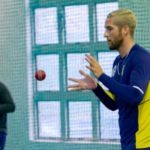 The wicket and the pace bowlers are the key focuses in the second Test in Bloemfontein against Bangladesh, starting Friday.